Are you a direct lender or a loan broker? Have you been trying to generate your own Merchant Cash Advance Leads for your sales people? How many times have you purchased Merchant Cash Advance Leads from a vender that didn’t even care if you got results? 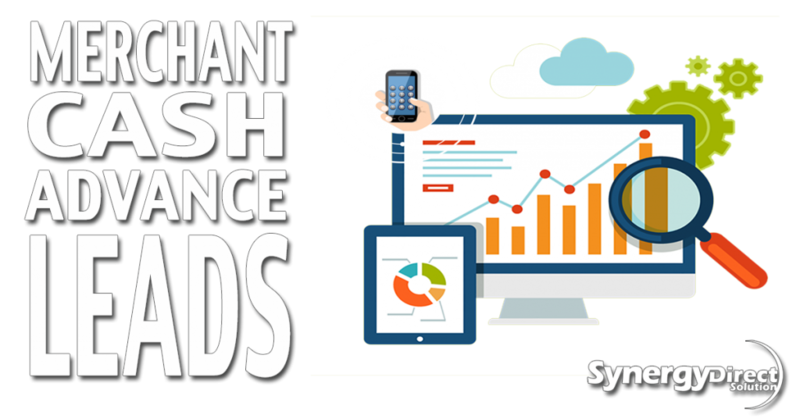 Finding the right Merchant Cash Advance Leads can be a daunting task and you can spend a lot of time and money trying to find the right lead provider. Look no further, you have come to the right place for high quality leads and a company that cares about the return on your investment. Good Merchant Cash Advance Leads can increase your sales by five hundred percent. By giving your sales people data from Info USA or Sales Genie you are forcing them to make three to five hundred calls per day. 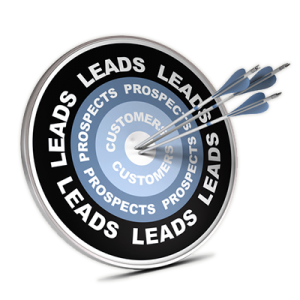 These leads are filtered by industry, revenue, time in business, number of employees and much more. That sounds great but where is the interest in a loan or the need for working capital? After pounding the phone all day, generating a few interested borrowers, your sales people will be exhausted and desperate for a deal. This desperation transfers over the phone and will reduce your close rate. When you get an approval the borrower will be shocked to hear the payback and daily payment. This strategy sets your sales people up to fail. Many successful lenders and brokers are changing their strategies for generating leads as a way to solve this issue. Successful lenders and brokers are streamlining their processes, reducing their cost per sale, outsourcing their appointment setters, paying for higher quality leads, and driving live transfers to their talented closers. Here at Synergy we have been developing quality Merchant Cash Advance Leads as well as other marketing techniques and programs for direct lenders and brokers. Step #1 is our marketing. Synergy Direct Solution LLC was established in 2010 as a marketing agency. Our core products included websites, search engine optimization, search engine marketing, social media design and management, click funnel marketing, Google Analytics, designs for logos, brochures, business cards, and flyers, email marketing, and search engine visibility through online directories. Synergy has thousands of clients covering all 50 states, we’re partners with Google, Yahoo, and Godaddy and Synergy has an A+ rating with the BBB. After discovering a high demand for good leads in the business loan space we decided to specifically design and manage products for lenders and brokers. In 2015 we began using our extensive knowledge in marketing to generate high quality Merchant Cash Advance leads. Our goal is simple, to be the most trusted lead provider for Merchant Cash Advance Leads in the industry and to continue to evolve our product to maintain this benchmark. Step #2 is our verification process. Our Merchant Cash Advance leads are double verified. We start by calling on merchant cash advance data, UCC lists, email responses, click funnel prospects and internet leads. We have hundreds of lead generation websites… each with a call to action. We run massive email campaigns, pay per click advertising on all major search engines, direct mailers, and occasionally we use radio and TV broadcasting to generate interested borrowers. Once we have an interested borrower our agent confirms the lead details over the phone. On this call they confirm all of the information regarding the lead. Step #3 is our Quality Assurance Team. After the agent sets an appointment for a call back the lead details are sent to Quality Assurance for review. Quality Assurance reviews each lead using a proprietary critique system in order to ensure our MCA Leads are always of the highest quality. These Quality Assurance agents do not make calls to borrowers, they do not get bonuses for submitting leads, they are solely charged with the responsibility of ensuring quality leads are the only leads Synergy sends to our lenders and brokers. The Quality Team reviews each call to ensure our agent didn’t set inappropriate expectations such as low interest rates, monthly payments, type of financial instrument (equipment finance, line of credit, loan, factoring, SBA), or anything of the sort. Synergy understands that each lender or broker has their own set of financial options to offer and we want all of those options to be available to you when you pitch your offer. Step #4 is the delivery of our leads. Our Merchant Cash Advance Leads are delivered via email. You can give us up to five different emails that you would like the leads to go to. These leads are emailed to you before the appointment time but after Quality Assurance reviews the calls. Synergy is flexible when you are deciding how many leads you want to receive per day. Some lenders take fifty per day and some brokers take only a few per day. However many you’d like to take is fine with us. Synergy has also partnered with a company that can assist you with your CRM integration. Please let us know if you’d like more information regarding integration and we will gladly assist you. Integrity and open communication are the main staples of our service. This is why our clients are so happy with our product and the results they generate from our Merchant Cash Advance Leads. We care about your bottom line and provide unique consulting for each client to help ensure they grow a profitable business. We have a list of recommended lenders that you can sign up with in order to fund more deals and make more commissions. Synergy advises you on how to approach the call in order to start each call off with the authority position and leveraging the pre-established rapport. Finally, a lead company that actually cares about what happens with their leads after they are sold! Why do they want the funds? How many loans do they have right now? What are the balances of the loans they have now? Are they the owner of the business? Must answer yes! How long have they been the owner? Do they need the money right away? Must answer yes! Do they deposit $10,000 or more per month? Must answer yes! Do they process credit cards? What do they think their credit score is right now? Do they have any equity that can be used as collateral? If they have equity, are they 50% paid down on their mortgage? Have they had issues getting approved within the last 30 days? What is the best time for the lender or broker to call you back?